Hello, friends! Happy September! With summer behind us, we could all probably use a fun giveaway to sweeten the return to routine that comes this time of year. I get approached more and more these days with solicitations to promote products or brands on this blog, but I usually hold off because the fit isn't always right and I only want to feature items on Meet Me in Philadelphia that I'd have in my own home. But, when Lamps.com recently reached out to me, I accepted enthusiastically. 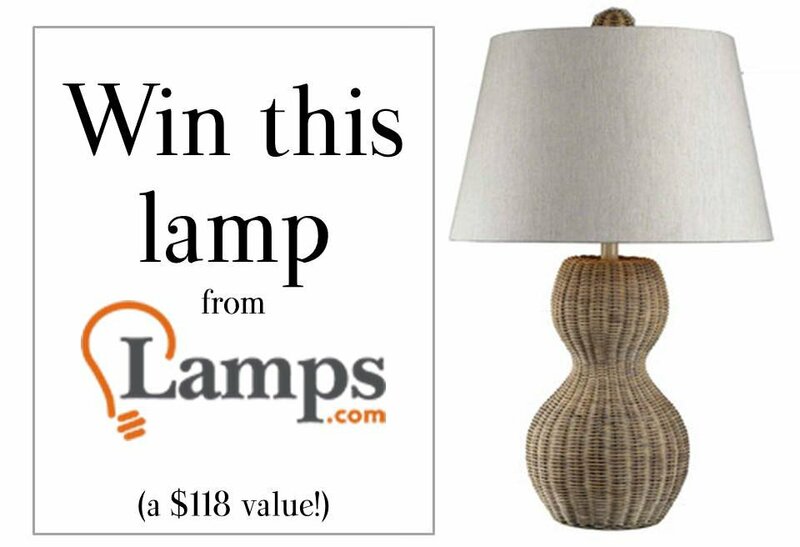 I really dig Lamps.com and dream of outfitting my home with their chic offerings, so that's good enough to share with my readers! 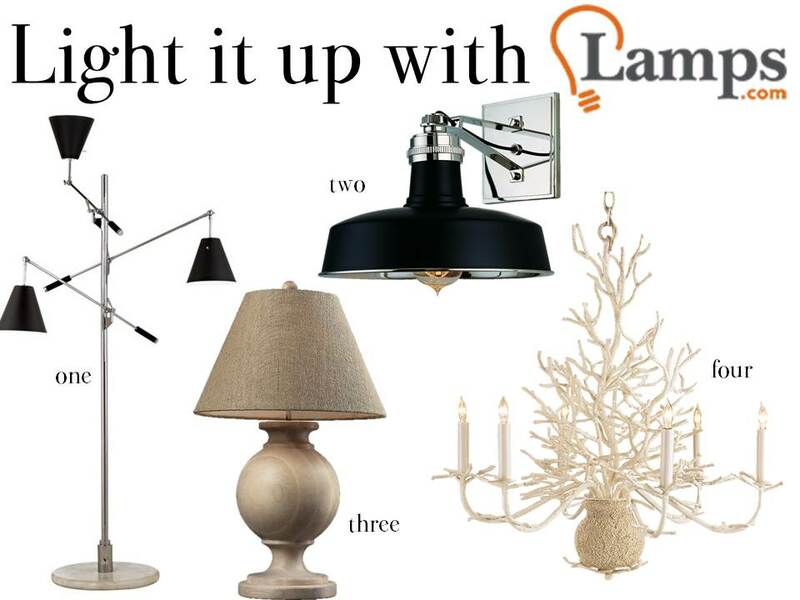 The selection at Lamps.com is best described as a one-stop-shop for all things lighting. Since we moved in, I've dreamt of major lighting replacement throughout our house. I've spent a lot of time perusing Lamps.com's selection which includes brands like Currey & Company, Hudson Valley Lighting, and George Kovacs. Now it's your turn: where would you put this lamp in your home? For a chance to win the Light Rattan Sycamore Hill Table Lamp from Lamps.com, let me know where you would put this lamp in your home in the comments below! Want multiple chances to win? Tweet about this giveaway and come back to comment with a link to your tweet for a second entry! --Winner will be emailed, so please make sure I can contact you! --Contest end Sunday, September 8 at 11:59PM EST. Entries after this time will not be considered. Wow Ashley! The pics of the lamp in your home are all great! You have such an eye for design - really you do! Let's see...I would love to put this lamp in my daughter's room on top of her french grey colored frency inspired dresser. It would create some contrast between the feminine look of the dresser and the casual/rustic look of the lamp! Let's see....where to put this fabulous lamp? It would look divine in my guestroom next to a painted iron bed. Its warmth and texture would really soften the metal. Love the gourd shape on this lamp! I have a slight lamp addiction so after moving some things around, I think this lamp could add some great texture to my husband's "man" room - it needs a little something! I love the shape and texture on this lamp! I have two deep windows flanking my sofa and I would put one on either the window still. Which means I would definetly splurge and buy a second! Thanks for hosting such a fun giveaway! Oh my...what to do with another lamp? I love it & am sure it would go just about anywhere! Fun giveaway! I would put this lamp in my sunroom on top of my antique bamboo side table. I love it!! Love that curvy little number. What a great giveaway! I think I'd put it in my breakfast nook atop my stainless console that is covered with plants. I think it would play well with the natural, organic materials and the sleek, utilitarian stainless. This gorgeous lamp would go on the dresser near my bed. I would put it on my piano in my living room or I might design around it for my guest bedroom which is currently empty! It's a great piece that would look beautiful in any room! I would put this lamp on my kitchen island!